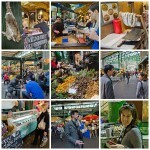 No foodie trip to London should end without a visit to Borough Market, London’s oldest fruit and vegetable market. Over 100 vendors sell a diverse mix of local and imported foods with a focus on typical and traditional British foods like game meats, sausages, duck and quail eggs, currants, truffles and wild mushrooms, spice vendors, tea importers, and beer and cider bottle shop with vast selection of UK brews and imported craft beers. 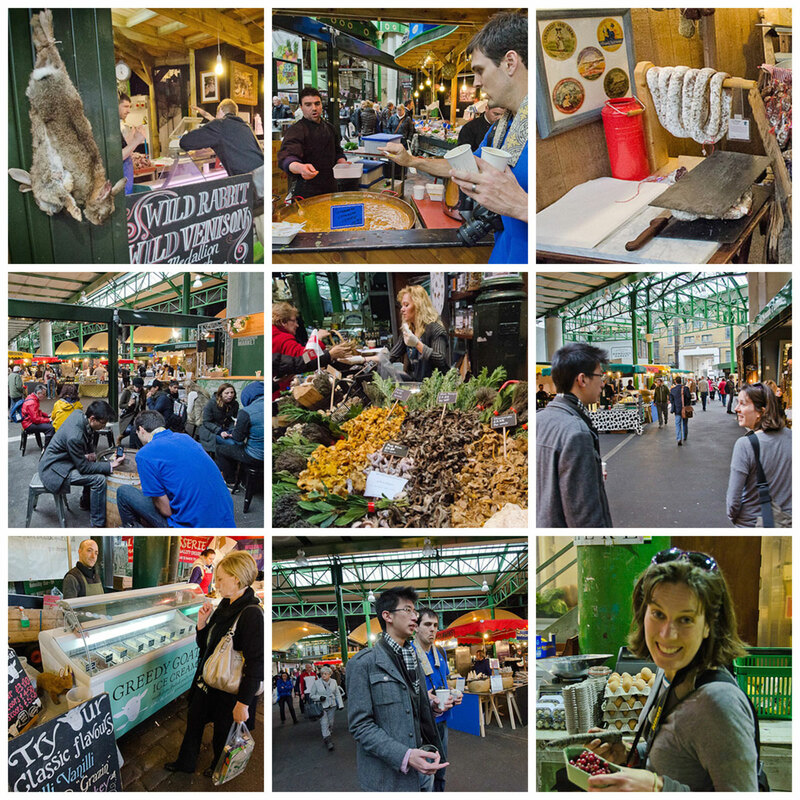 This historic market has been open since 1756 on the present site, but it replaced a market that adjoined the end of London Bridge since the year 1014. We met up with our local friend, Dylan, at the market and he showed us around his favorite stalls, sampling things along the way. We arrived just before a pounding rainstorm began, but luckily, the mostly-enclosed market complex was a tasty place to hide while waiting for the rain to pass. One of the more unique things we tried was a goat milk ice cream stand where the raspberry chili flavor blew my mind. While the market is open each morning for wholesale buyers, the full market is only open to the public Wednesday through Saturday, so plan accordingly. Exit at the London Bridge metro station.